New Frontiers to support Sun Sounds On Wednesday, Jan. 19, 5 percent of proceeds from sales at the New Frontiers Marketplace will be donated to Sun Sounds of Arizona in Flagstaff. Sun Sounds, a part of the Division of Public Service for Rio Salado College, is an information access service primarily designed for and directed to an audience who are visually-impaired. 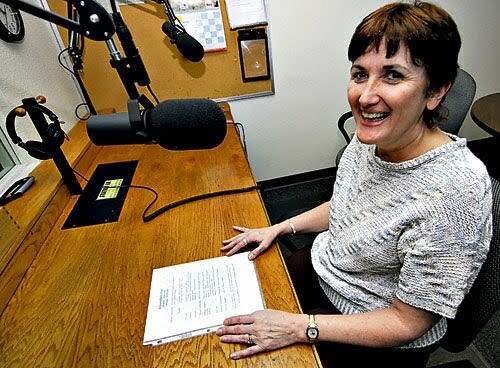 In Flagstaff, more than 50 volunteers read the daily Arizona Daily Sun, magazines and books aloud and reach more than 49,000 members via individual receivers, online streaming and podcasting at sunsounds.org, and a telephone access system called Sun Dial II. Sun Sounds of Arizona's broadcast, along with those of several other U.S. and Canadian radio reading services, is now available on Apple mobile devices using the iBlink Radio application. iBlink Radio, touted as the first app for visually impaired people, makes it easy to find current streaming and archived print information read aloud. To download the free iBlink Radio app, go to iTlines or click the App Store on an Apple mobile device and search for iBlink Radio. For more information about applying for service or volunteering at Sun Sounds of Arizona, contact Eleanor Mooney, manager, Sun Sounds of Arizona in Flagstaff at 623-779-1775 or Eleanor.mooney@riomail.maricopa.edu.